The 36 holes of world-class golf at ChampionsGate were designed to offer golfers a blend of traditional and modern elements, creating a truly unique golf course in Orlando. 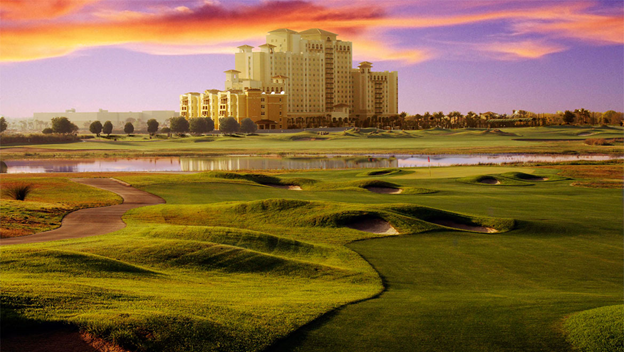 The International Course at Omni Orlando Resort at ChampionsGate offers an authentic link-style golf experience, reminiscent of the great golf courses of the British Isles. Rolling thorough the central Florida wetlands, the course offers a beautiful backdrop as well as challenges to the round. Designed by Greg Norman, the International Course features high-side dunes, planted with swirling grasses that grow down literally into the banks of the hazards and just paces off the fairway. Scattered throughout the course are randomly placed pot bunkers – over 160 in all. Missed shots can frequently lead to difficult lies in thick grass in the wind-swept dunes, or out of tricky pot bunkers. With its traditional American-style design, the National Course at Omni Orlando Resort at ChampionsGate challenges golfers through 18 holes that wind through 200 acres of secluded woodlands, wetlands and former orange groves. 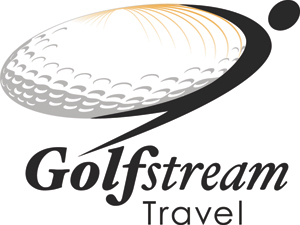 The golf course features gently sweeping fairways, 80 sculpted bunkers, greens maintained in tour condition, clever doglegs and scenic water hazards. Water comes into play on many holes, but few forced carries means that this layout can be maneuvered by all levels of players. The sharply framed golf holes end up on smaller greens, making it a shot maker’s delight. Many of our beautifully appointed rooms feature magnificent views of the golf courses and acres of natural beauty that surround the resort. Deluxe Rooms offer luxurious accommodations with contemporary furnishings and one king or two queen beds. These rooms offer a view of the main entrance. 406 square feet. Deluxe Balcony Rooms offer the same amenities as the Deluxe Rooms and feature a balcony view of the main entrance. 406 square feet. Premier accommodations include one king or two queen beds. Enjoy views of the golf course, recreation area or the acres of natural beauty. 406 square feet. Premier Balcony Rooms offer one king or two queen beds and a balcony to enjoy views of the golf course, recreation area or the acres of natural beauty. 406 square feet. Our luxurious studio suites feature one king bed, a sitting area with a sofa sleeper, a separate vanity area and an oversized bath, as well as a view of the main entrance. 655 square feet. These suites include one king bed and a separate large living area with a full-size sleeper sofa and a lavish marble bath with a separate vanity. Balconies overlook golf or pool areas. Connecting rooms are available. 865 square feet. Hospitality suites include a large living room with a queen-size sleeper sofa, a dining room table for six, a wet bar, a pantry with a dishwasher, a refrigerator, an oversized bath and a balcony. Connecting rooms are available. Ideal for receptions for 24-45 guests. 865 square feet. These suites feature a king-size bedroom with a separate parlor. The parlor area comes equipped with an oversized sleeper sofa and chairs and a dining room table for six, as well as a wet bar area with a refrigerator and microwave and a private balcony. Connecting rooms are available. 1,200 square feet. Each suite includes a full kitchenette with a refrigerator and wet bar, a separate dining area for eight, a sitting room and an oversized bath with a jetted garden tub. Suites feature large balconies. Connecting rooms are available. 2,100 square feet. Accessible rooms are available for our guests who require ADA features. Guests have the option of a room with a roll-in shower and a hand-held showerhead, a room with a tub, or room with a standard shower/tub and grab bars. The sink and toilet are no higher than 29” from the floor, also with grab bars. Our rooms feature enlarged door openings, and visual notification is offered for the hotel alarm system and phone. Nestled within the heart of Central Florida lies the Villas at ChampionsGate, a luxury retreat located just minutes from Orlando’s top attractions. Situated adjacent to the stunning Four Diamond Omni Orlando Resort at ChampionsGate, guests of the Orlando Villas will enjoy all the resort’s amenities and facilities, including access to the 10,000-square-foot European-style spa and fitness facility; two Greg Norman-designed championship golf courses; a formal pool with private cabanas; a heated family pool with a waterslide and an 850-foot lazy river; Champions 9, a par 3 golf experience; seven restaurants, eateries and lounges; and 24-hour room service. Our two-bedroom villas will accommodate up to eight guests comfortably. These spacious accommodations feature a master bedroom and bath with a king bed and a second bedroom with one or two beds. Each villa includes a fully equipped kitchen, a living room, a dining room with a wet bar, a separate den and a private terrace or balcony. Maximum Occupancy 10. 1,543-1,620 square feet. Experience pure luxury with these three-bedroom villas that can accommodate up to 12 guests. Relax in one of three bedrooms (king bed in the master bedroom, one or two beds in the second and third bedrooms) or enjoy the modern kitchen complete with stainless steel appliances and granite counter tops. After a long day of business or pleasure, retreat to your private balcony or terrace to unwind as you enjoy spectacular golf views. Each villa includes a dining and living room, a wet bar and a separate den. Maximum Occupancy 12. 1,832-1,971 square feet. At Omni Orlando Resort at ChampionsGate, an array of delicious cuisine is always on the menu. With five unique restaurants on-site, satisfying any culinary craving is easy. Enjoy pan-Asian dishesin an authentic setting highlighted by an intimate sushi and sake bar. Enjoy thespirited environment and spectacular resort views while you dine on mouthwatering steaks and innovative cuisine at our upscale sports bar and grill. Choose from a variety of salads, classic deli sandwiches, hand-scooped gelato and on-the-go snacks. Sample our selection of healthy and hearty breakfast options, sandwiches, salads and entrees at lunch or throughout the afternoon for golfers who want to enjoy a refreshing break. Relax with a glass of wine or refreshing cocktail while you catch up with friends and family. Enjoy a delicious meal crafted from regional ingredients or sip on one of our signature cocktails while overlooking our stunning pools. Enjoy your favorite Starbucks beverage, along with a pastry or yogurt, to go. Our Orlando resort accommodations, including 720 guest rooms and suites as well as two- and three-bedroom villas, are equipped with every modern convenience and a host of luxury amenities. In addition to walk-out golf, guests may choose to relax in our signature Mokara spa, dine in one of our seven restaurants or enjoy 15 acres of pools and recreation activities including the 850-foot lazy river. 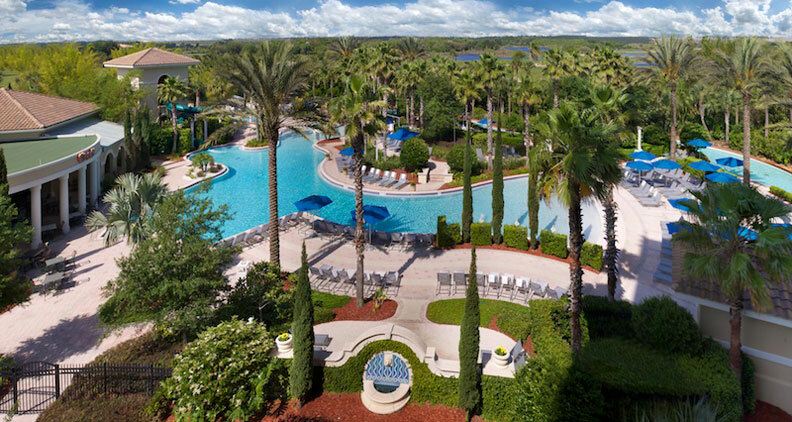 Situated just steps away from the stunning Omni Orlando Resort at ChampionsGate, The Villas at ChampionsGate, is a luxury retreat in the heart of Central Florida, close to Orlando’s favorite attractions. Upscale two- and three-bedroom villas feature lavish interiors, fully-equipped kitchens with stainless steel appliances, granite countertops, spacious living and dining areas, and private patios to enjoy spectacular golf and pool views. Master bedrooms feature king-size beds, and opulent master baths with Roman tubs and double sink vanities. Amenities at the Villas include a private pool, fitness center, 24-hour room service and daily housekeeping. In addition to the amenities of the Villas, guests are surrounded by 36 holes of championship golf, 15 acres of pools and recreation, a signature Mokara Spa, and 7 onsite restaurants, located at the main resort.